Mr. Binder is a founding partner of Binder & Malter LLP. Mr. Binder has over 35 years of experience representing businesses and individuals as debtors or creditors in all types of bankruptcy matters and corporate restructuring. In addition to his considerable bankruptcy experience, Mr. Binder frequently represents businesses and individuals in real estate and business matters, collection and collection defense, and commercial law disputes. Mr. Binder’s practice also includes asset protection planning, creditor negotiations and workouts, debtor-creditor rights, tax disputes, bankruptcy appeals, and representing under-insured defendants in settlement negotiations and mediations. Mr. Binder has represented companies in a wide-range of industries in all aspects of bankruptcy, corporate restructuring, and out-of-court workouts. Mr. Binder’s clients have included both publically traded and privately held technology companies, medical device companies, transport and moving companies, retailers, restaurants, auto dealerships, non-profits and a wide-range of real estate market participants, including developers, investors, contractors and owners of shopping centers, hotels, high rises, commercial buildings, apartment buildings, and residential communities. Mr. Binder has also represented countless high-net worth individuals restructure their debt both in and out of bankruptcy court, including entrepreneurs, investors, professional athletes, doctors, attorneys, bankers, accountants, and real estate professionals. Mr. Binder is frequently retained by lawyers from other law firms and their clients to settle complex, high-exposure litigation and litigation involving under-insured defendants. In addition to counseling companies in financial distress, Mr. Binder also routinely represents creditors in bankruptcy, including creditors committees, secured and unsecured lenders, school districts, and purchasers of distressed assets. During his over 35 years of practice, Mr. Binder has tried a number of cases, handled a number of appeals, and has periodically been retained as an expert witness in the areas of bankruptcy and commercial law. As an adjunct to his bankruptcy and corporate restructuring practice, Mr. Binder frequently represents clients in business and real estate acquisitions and dispositions, commercial leasing, and general business matters, serving as corporate counsel for a number of corporate clients. Mr. Binder is active in the local Silicon Valley community, frequently lecturing on bankruptcy and related topics such as asset protection planning. Mr. Binder has been featured as a guest lecturer at the Santa Clara University School of Law on a number of occasions and spoken to numerous professional organizations, including the National Bankruptcy Institute (NBI), Bay Area Bankruptcy Forum (BABF), California Continuing Education of the Bar (CEB), the Construction Financial Management Association, and the Santa Clara County Bar Association. Mr. Binder has been named as a Northern California “Super Lawyer” in Bankruptcy & Creditor/Debtor Rights every year since its inception in 2004. Mr. Binder was born in Heidenheim, Germany, is married to his wife, Theresia, and has two sons. Mr. Binder’s interests include photography, travel, biking, hiking, and pinball. Represented the owner of one of the largest assemblies of real estate (by volume) in Bay Area history avoid bankruptcy by successfully negotiating and implementing an out-of-court workout involving assets totaling approximately $250 million. Represented well-known national developer of a much-publicized San Francisco luxury high-rise in Chapter 11 bankruptcy. Represented the largest privately held transportation company on the west coast in Chapter 11 bankruptcy. Represented publically traded technology company in Chapter 11 bankruptcy, through which the company was purchased and emerged post-bankruptcy as a private company. Represented group of private investors in a series of purchase and sale transactions by which the group of investors was able to assemble a portfolio of commercial property in downtown San Jose for investment and redevelopment purposes. Represented property owner in connection with its sale of a commercial property in San Mateo County, which included two office buildings and parking structure, for approximately $37 million. Represented countless landlords and tenants in lease negotiations and related matters. Represented the purchaser of foreclosed land acquire the property through bankruptcy, then successfully taking the purchaser through Chapter 11 bankruptcy to reduce and restructure the approximately $3 million in delinquent taxes still owing on the acquired property. Represented the committee of unsecured creditors in the Chapter 11 bankruptcy of a large, national military lending organization. Serve as corporate counsel for a number of companies, including a well-known, locally-owed private seafood distributor. Represented large, then well-known consumer electronics retailer in Chapter 11 bankruptcy. Negotiated the termination of hundreds of commercial leases following “dot-com” crash in 2000. 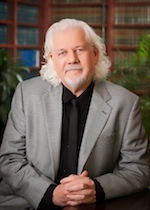 Over his 35 year career, Mr. Binder has spoken on various bankruptcy topics to a number of organizations, including California Continuing Education of the Bar (CEB), National Bankruptcy Institute (NBI), Bay Area Bankruptcy Forum (BABF), the Construction Financial Management Association, and the Santa Clara Bar Association.